Laggies, premiering at Sundance, is director Lynn Shelton’s sixth feature. She wrote the script for her first five films, but newcomer Andrea Seigel is the scribe on this quirky comedy starring Keira Knightley (Anna Karenina, Atonement, Pride and Prejudice). Following positive reviews at the premier, A24, distributor of films such as The Spectacular Now and The Bling Ring, scooped up the North American distribution rights and likely plans on a summer release. 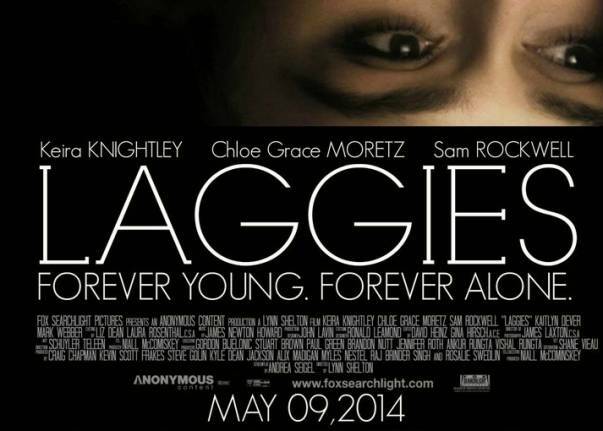 Laggies is a late coming of age tale about 28 year old Megan (Knightley) who is complacent in her ‘go with the flow’ lifestyle and has little no direction to her life. She still hangs out with her old friends like the high school queen bee played by Ellie Kemper (Bridesmaids, The Office), she’s been in the same relationship with Anthony, played by Mark Webber (Scott Pilgrim vs. The World, The End of Love) for 12 years, and still lives at home with her carefree dad, played by Jeff Garlin (Curb Your Enthusiasm). When Anthony proposes, it knocks Megan off balance and she runs off to absorb the consequences of what her answer might be. She befriends a young girl, Aneka, played by Chloe Grace Moretz (Carrie) as well as Aneka’s Dad, played by Sam Rockwell (The Way Way Back), which develops into an unexpected romance. Alix Madigan, Craig Chapman, Kevin Scott Frakes, Kyle Dean Jackson, Myles Nestel, Gordon Bijelonic, Raj Brinder Singh, Rosalie Sweden and Steve Golin are producing along with Anonymous Content, Palm Star Entertainment, and Solution Entertainment Group.